Montblanc introduced the latest model of its highly acclaimed Bohème Collection with a limited span of 18 units only. The Bohème Collection, which was presented for the first time in 2014, is made up of models designed for female users. 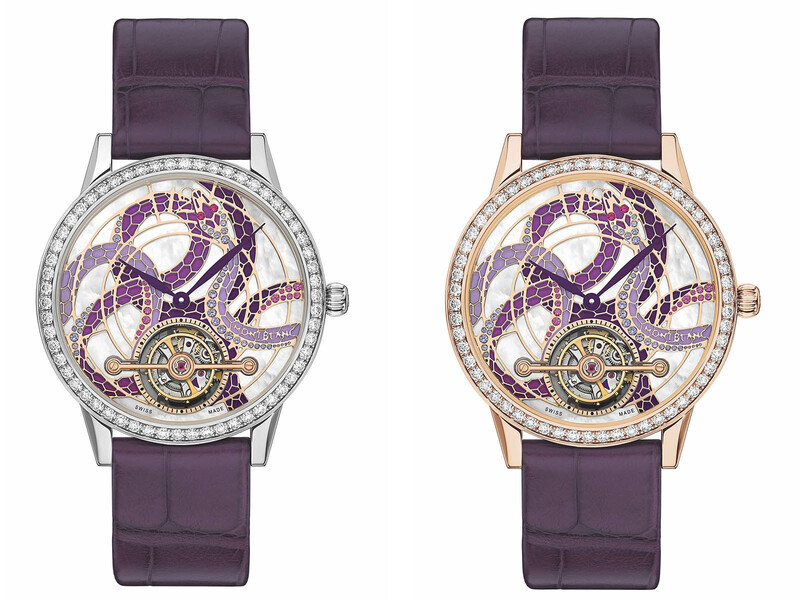 The ExoTourbillon Jewelry Motif Serpent model, which is the latest addition to the collection, comes in two different case alternatives as 18K white and pink gold. The case is 38 mm in diameter and 9.37 mm thick and it comes with a waterproof rating of 30 meters. There are 58 (~ 1.39 ct.) diamonds in its bezel. The new model’s dial is truly a work of art. 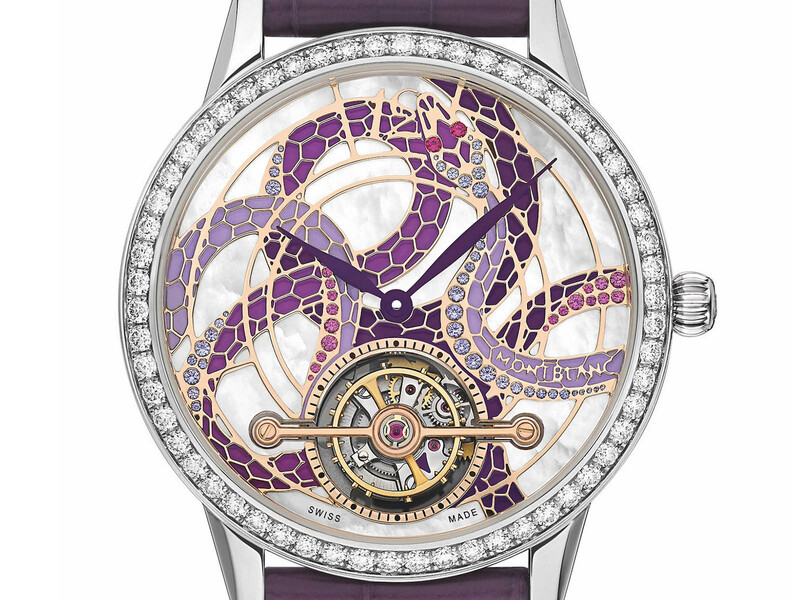 The dial is made of mother of pearl that is adorned with diamonds in certain areas and a fully hand-tooled snake figure. The most important technical feature of the model ExoTourbillon style escapement is located at 6 o’clock. Montblanc Bohème ExoTourbillon Jewellery Motif Serpent Limited Edition is powered by the brand’s in-house movement Caliber Ref. MB M29.24. 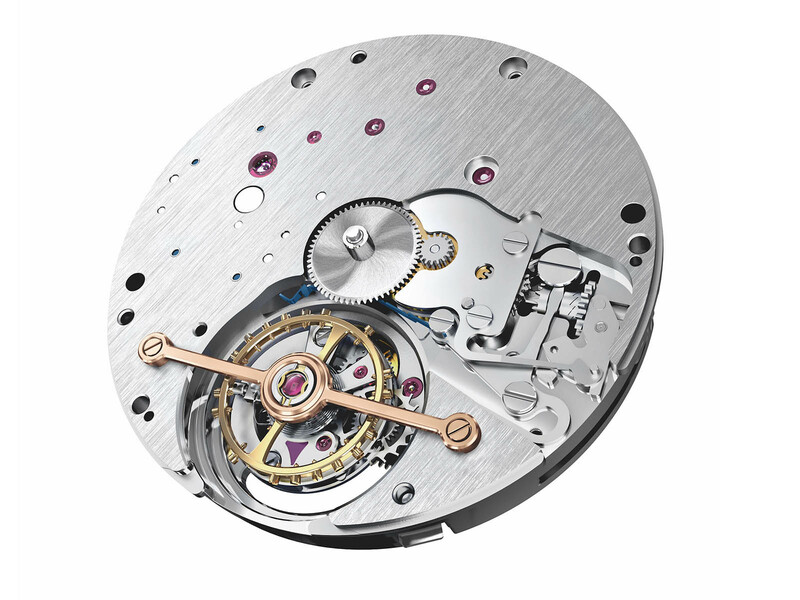 27 jewels movement beats at 3Hz and offers a power reserve of 48 hours when fully wound. Consisting of 202 pieces, the movement features rhodium plated main plate and other components, is also adorned with the classic Côtes de Genève style motifs. The model is offered on a purple alligator strap and an 18K gold folding clasp set with diamonds.